Enter the password: Mbcs#2016 (note the capital 'M') and click OK. 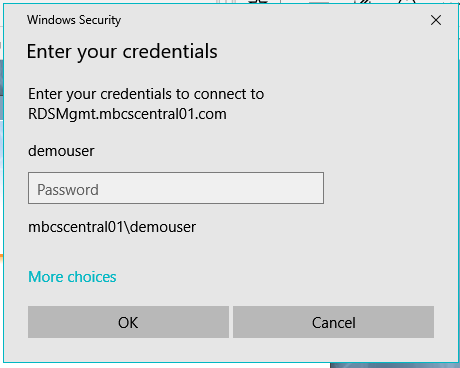 If the logon is successful a progress window will appear and then go away and the MbcsCentral Login window will display [Next Page]. 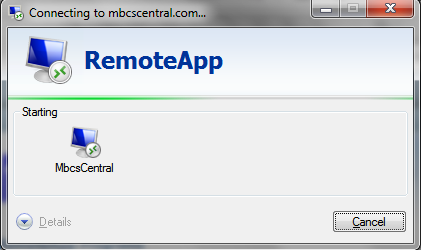 If an error message appears, click OK and click on the MbcsCentral icon again.